Oh my goodness… how cute is Dakotah?! He is such a sweet and happy baby! I am so blessed that his mom trust me to capture his memories because our littles grow so fast. Just six months ago I had him sitting in a bowl and now he’s sitting in a big boy chair! I love his birthday theme so much ❤️❤️❤️ Let me know in the comments which is your favorite! 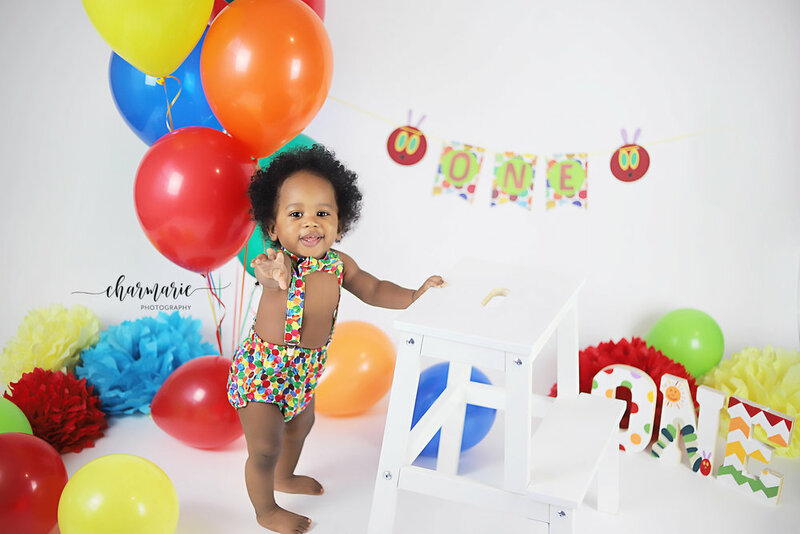 Cake smash is such a fun way to celebrate your baby's first year! We provide the cake and decorations. Book your cake smash today!